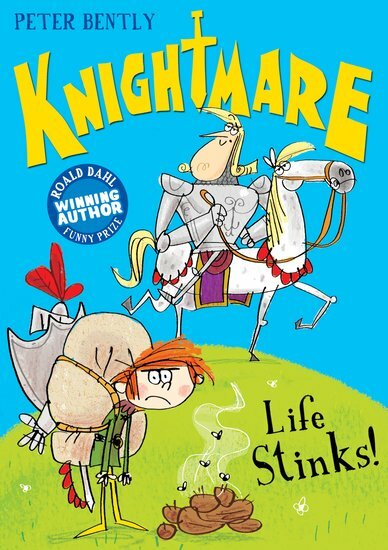 Knightly capers by a Roald Dahl Funny Prize winner. Jousts, puns and poo. Count us in. Peter Bently won the world’s funniest book prize for Cats Ahoy!. But we think this book might just be even dafter. Sir Percy the Proud is famed across the land for his glorious deeds. But under the shiny helmet, this guy is a knightmare! And he’s a massive wimp in disguise. Now Roland the Rotten has challenged Percy to a duel. But cowardly Percy won’t fight. He’s lost his lucky underpants. Who’ll have to take his place? His poor squire, Cedric. When you have a boss like this, life definitely stinks!